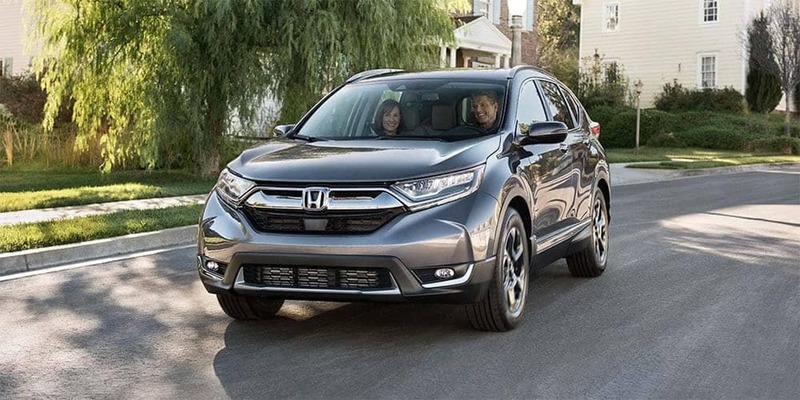 The 2019 Honda CR-V is a crossover SUV that offers a dynamic performance on the road, plenty of space inside the cabin for passengers and cargo,plus great comfort and tech features inside. Ready to take on the everyday grind or the weekend adventure, the CR-V is versatile and full of personality. I’s also one of the safest options on the road, earning the Top Safety Pick from the IIHS and including a host of standard and available safety features. Safety in the CR-V begins with its innovative body structure design. The Advanced Compatibility Engineering (ACE) Body Structure utilizes a network of frame structures that absorbs crash energy and distributes it away from the occupants sitting inside the cabin. It also minimizes the amount of force transferred to the other vehicle involved in the impact, keeping everyone on the road safer. 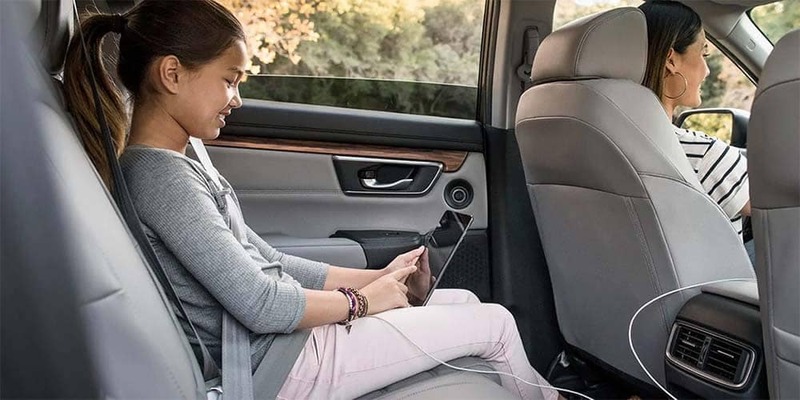 The CR-V includes an extensive list of passive safety features including airbags, seatbelts, child-proof locks, and more. These features are the unsung heroes when you need them most. The CR-V performs at its best even on slippery roads and in inclement weather thanks to a number of active safety features that enhance performance and avoid safety risks. 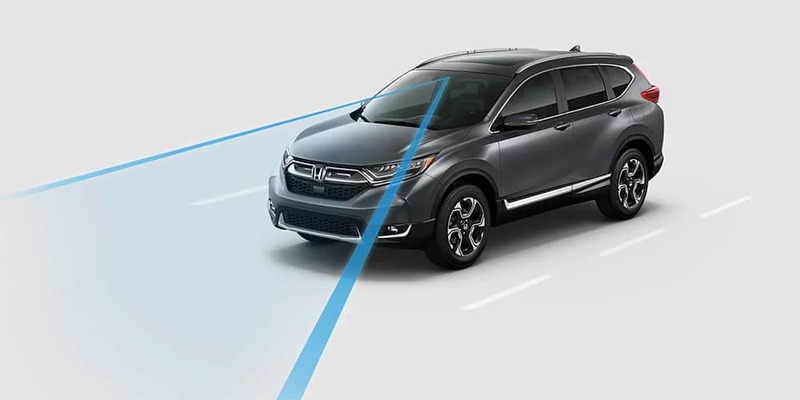 These features help the CR-V maintain good tractive control with the road, come to a complete stop more quickly, and ensure that the CR-V is clearly visible to other drivers. 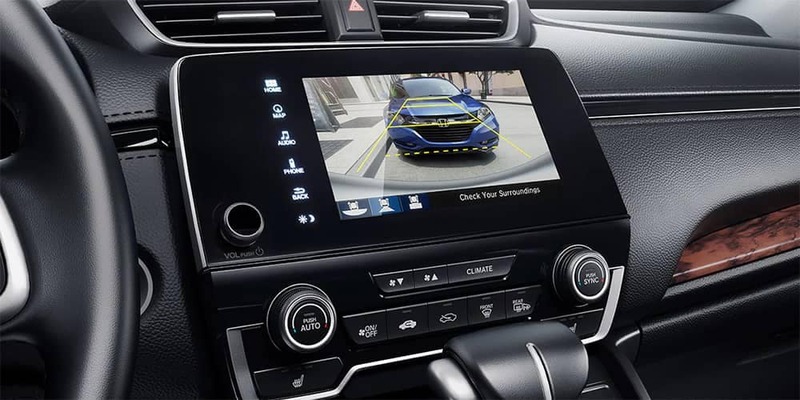 Every model of the CR-V comes with a multi-angle rearview camera that allows drivers to check their surroundings before backing up. With guidelines as a standard feature, and dynamic guidelines as an upgraded feature on the upper trim levels, drivers can maneuver in and out of tight spaces with ease. The camera includes three different angles each offering an optimal view for different situations. 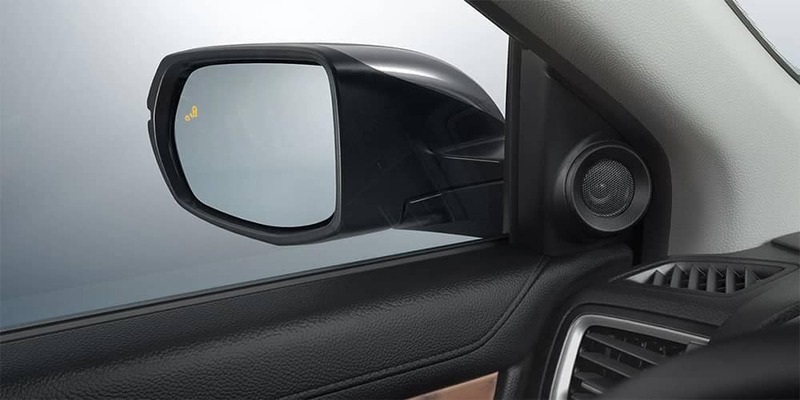 Starting with the EX trim level, the CR-V comes equipped with the suite of driver-assistive technology known as Honda Sensing. Made up of systems that warn, prevent, and mitigate incidents, these technology features help drivers drive more safely on the road. As drivers explore the upper trim levels there are more features geared toward safety such as auto high-beam headlights and fog lights that illuminate the road ahead. And with a navigation system with voice recognition, drivers are guided through unfamiliar areas and can add stops or input instructions without having to take their hands off the wheel. 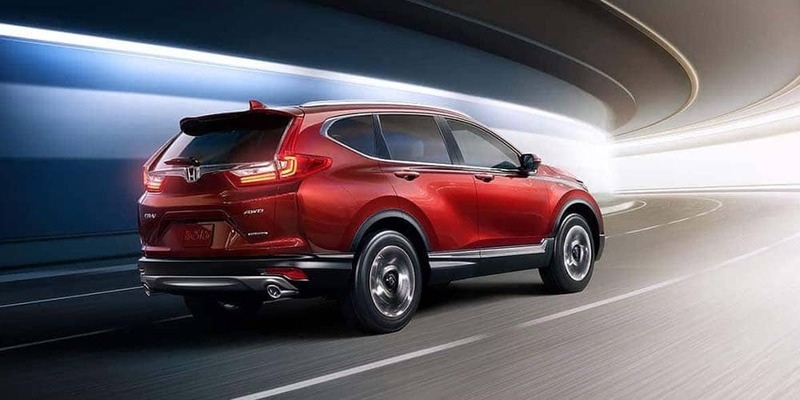 Find out more information on the 2019 Honda CR-V by contacting us or visiting your nearest Mid-Michigan Honda Dealer. Explore current offers and experience the the CR-V firsthand when you sit behind the wheel with a test drive today.